“I therefore, a prisoner for the Lord, urge you to walk in a manner worthy of the calling to which you have been called, with all humility and gentleness, with patience, bearing with one another in love, eager to maintain the unity of the Spirit in the bond of peace. There is one body and one Spirit—just as you were called to the one hope that belongs to your call – one Lord, one faith, one baptism, one God and Father of all, who is over all and through all and in all.” (Ephesians 4:1-6). 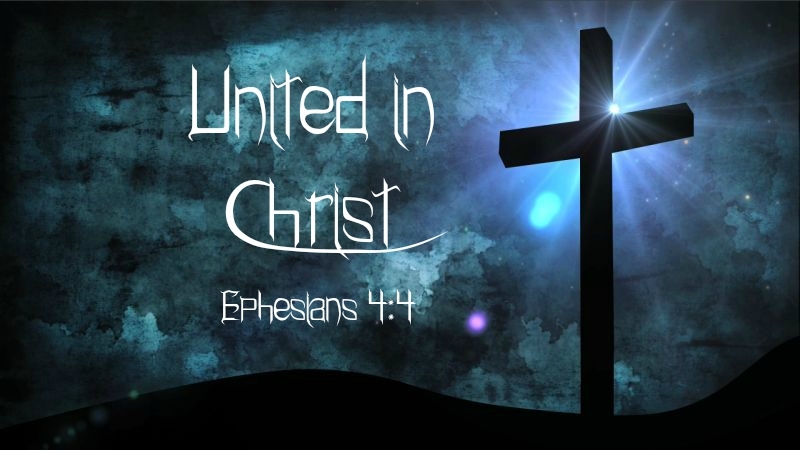 In Ephesians Chapter 4 Paul is calling for unity within the body of Christ. The nature of this calling, however, needs the perspective of Chapters 1 through 3 where Paul sets the standard by which unity is defined and achieved. As with all Scripture, Scripture will interpret and clarify Scripture. Scripture, in other words, is the ultimate authority to define and expand on Scripture. Paul in writing to the Ephesians sets forth three chapters of doctrine or teachings followed by three chapters of application. The unity and it’s nature that he writes of here is clearly expounded on and defined in the first three chapters. When we received Christ as Savior we were sealed as His and became members of His heavenly family. We, therefore, as members of this family, received all the family blessings and privileges. Along with those blessings and privileges we also received obligations. Paul writes of these obligations in the first three chapters. We were born again into God’s family and we were to be transformed into Christ’s likeness. Our behavior was to reflect our rebirth. God expects us to act like the new persons we have become in Jesus Christ. He expects His standards to become our standards, His purposes our purposes, His desires our desires, His nature our nature. We are to “Conduct [ourselves] in a manner worthy of the gospel of Christ.” We are to be in unity of Spirit according to His Word. Paul in Chapter four gives five characteristics that we must live by so as to achieve this “unity of the Spirit” and this “bond of peace”. As members of God’s family living within the community of Christ’s Church we are called to be humble, gentle, patient, loving and eager to maintain the unity of the Spirit. So how does this work when the body has differing theological viewpoints. How, for instance, can these traits manifest themselves, for instance, if there are differing views on baptism, eschatology, approaches to handling Scripture, or other areas of Church life that so often divide us? As a Church body we must stick to the authority of Scripture alone as we contemplate unity in the body. With the priority of Scripture in mind we must remember that unity cannot be achieved at the cost of sound doctrine. We are not told to accommodate those who teach outside the realm of Biblical authority. In areas that are unclear, such as eschatology, we should avoid dividing over that which will lead to disunity since much has not been fully revealed to us at this time. Points of contention that we can have reasonable disagreement on and which are still within the realm of Biblical authority, should not lead to disunity. We must remember at all times that we were called to “one hope that belongs to our call – one Lord, one faith, one baptism, one God and Father of all, who is over all and through all and in all.” We must remember that we have been called to “make disciples of all nations, baptizing them in the name of the Father and of the Son and of the Holy Spirit, teaching them to observe all that Christ has commanded us. And behold, He is will be with us always, to the end of the age.” We have a very high calling and to be effective in our calling we need a unity of Spirit. ← Whoever oppresses a poor man insults his Maker, but he who is generous to the needy honors him.